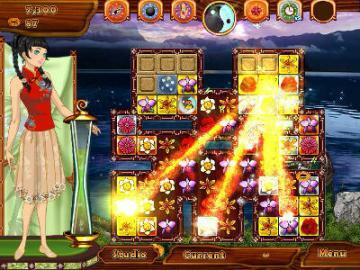 A whirlwind match-3 adventure through the fashion cultures of the Orient! In Zen Fashion, you take the role of a young Japanese fashion designer ready to break out on her own. But before she can truly succeed, she must journey to the fashion capitals of Asia to learn the Zen Fashion secrets of her ancestors. In a game as beautiful as it is addictive, match flowers using a drag-match mechanic to buy and collect fashions from Korea, China, Japan, and beyond! 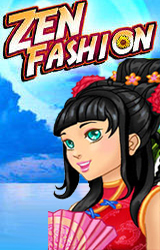 Each new fashion increases your Zen Fashion powers, giving you new skills and abilities. Mix and match fashions to create the perfect power combination for you. Use these Zen Powers to work your way through almost a hundred challenging and beautiful levels. 12 different cities from Kyoto to Chengdu to Singapore to Bangkok and beyond. 8 levels per city for a total of 96 beautiful levels, each with original art and design. 6 Zen Powers, including the Eye for Fashion, Bloom Blast, and Fashion Bomb. 12 special tokens, including Zen Power tokens, Blockers, Slicers, and others. 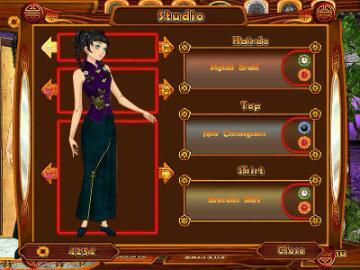 108 fashion pieces, creating thousands of possible fashion combinations. Timed Adventure Mode unlocks levels for the timeless Zen Mode. 24 different Asian souvenir trophies available for special goals. Online high score list tracks player scores and hometown �Esee where your competitors are! 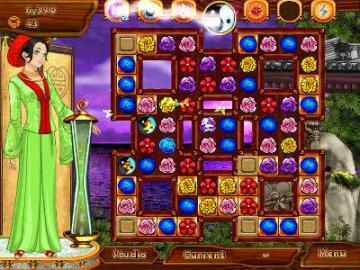 Zen breaks at the end of every level allow the player to relax and enjoy the scenery. Available in English, French, Italian, Spanish, German, Chinese, Korean, and Japanese.